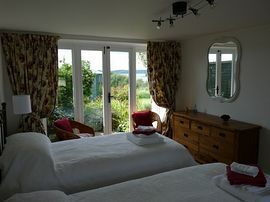 The cottage is equipped and furnished to the highest standards throughout. New Bathroom and shower room. 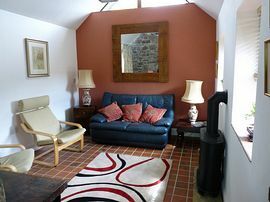 Kitchen-Living room: New fully fitted with cooker, microwave, fridge-freezer, dishwasher. 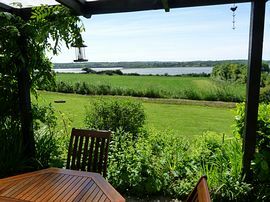 Dining table, chairs, multifuel stove, folding patio doors to garden and magnificent views. A shared mown path leads to the foreshore, where there is an abundance of wildlife. Curlews, egrets, herons, shell duck, cormorants to name a few are regularly sighted. 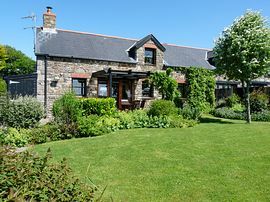 Or take a walk along the Landsker Trail and explore the hamlet and surrounding areas. For full information please visit our website. By car on A40 travelling west turn left on A4075 at Canaston Bridge.Travel 3 miles approx and take first right after Canaston Bowl leisure centre, signed Martletwy and Llawrenny. Follow road for 2 miles taking right turn for Landshipping. 300 meters turn left. Follow road for 2 miles past Stanley Arms Pub (currently closed)After aprox.half a mile cream house (with flagpole) on right with stone cottages in courtyard. Glan-yr-Afon on right. Spring: from £465 to £575 Summer: from £675 to £1200 Autumn: from £450 to £595. Winter: from £450 to £750. 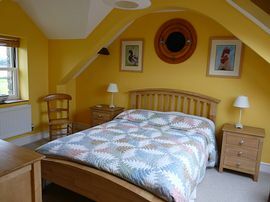 The cottage is furnished to a high standard including some antiques and oil paintings.